Context - Do static magnetic or electric fields used for instance in medical imaging pose health risks? Medical imaging devices (such as MRI scanners), trains, and television sets are examples of man-made equipment that can generate static magnetic or electric fields. In some areas of research and medical imaging, stronger and stronger static magnetic fields are being used. What is known so far about potential health consequences? 1. What are static electric and magnetic fields? Electric and magnetic fields are invisible lines of force generated by phenomena such as the Earth’s magnetism, thunderstorms, and the use of electricity. When such fields do not vary with time they are referred to as static. A static electric field is the force field created by the attraction and repulsion of electric charges that are fixed in space ("static electricity"). A static magnetic field is a force field created by a magnet or by the steady flow of electricity, for example in appliances using direct current (DC). 2. What are the sources of static electric fields? Static electric fields occur naturally in the atmosphere, particularly under thunderclouds, and can lead to lightning strikes. Friction, for example from walking on a carpet, can generate strong static electric fields and lead to sparks. 3. What are the sources of static magnetic fields? The Earth’s natural magnetic field is perceived by certain animals that use them for orientation. Man-made static magnetic fields are generated wherever DC currents are used, such as in electric trains or industrial processes such as aluminium production. These can be more than 1 000 times stronger than the Earth’s natural magnetic field. Recent technological innovations have led to the use of magnetic fields up to 100 000 times stronger than the Earth’s magnetic field. 4. How may static magnetic fields interact with the body? possibly interfere with some chemical reactions in the body. 4.2 The interactions of biological tissue with a static magnetic field depend on the physical properties of the field, such as the strength and direction of the field at a given location inside the body. Interactions with the body that are likely to be of most consequence for health occur when there is movement in the field because of body motion or blood flow. 5. How may static fields affect cells or animals? 5.2 In the few studies on the effects of static electric fields on animals that have been carried out, no negative health effects have been noted, other than the perception of body hair movement or small electric shocks. Interactions with the organ of balance in the inner ear, causing discomfort when moving in strong magnetic fields. Electric charges generated around the heart and major blood vessels. Possible effects on blood cells and on the endocrine system. However, the validity of these results has rarely been been tested by other researchers and thus the findings remain inconclusive. 6. How may humans be affected by static fields? 6.1 Static electric fields do not enter the body. However, they cause an electric charge on the body surface which can result in movement of body hairs or spark discharges, such as those experienced when touching a doorknob after walking on a carpet. 7. What are the health risks associated with static fields? On the whole, the data for exposure to static electric fields suggest that the only negative health effects are the direct perception of body hair movement and small shocks. Long term effects of static electric fields have not been investigated. For static magnetic fields, short-term exposure to very strong fields does seem to induce a number of measurable effects in the body. Computer simulations suggest possible effects on the heart of electric currents induced by blood flowing through a strong magnetic field, although this has not been experimentally verified. Moving within a very strong static magnetic field can create sensations of vertigo and nausea, and sometimes a metallic taste in the mouth and the perception of light flashes. Although only temporary, such effects may adversely affect people, which raises safety concerns for workers executing delicate procedures (such as surgeons performing operations using MRI). 8. Should the public and workers be protected from the effects of static fields? National authorities should set up programs to protect both the public and workers from possible negative effects of static fields. In the case of static electric fields, since the main effect is discomfort from electric discharges to the body, it could be sufficient to provide information on exposure to large electric fields and how to avoid them. In the case of static magnetic fields, however, a series of precautionary measures are recommended to limit the exposures of workers and the public, through standards and enclosures. Additional research funding and data gathering are needed. 9. What further research is needed on the possible health effects of static fields? 9.2 For static magnetic fields, research carried out to date has not been systematic and has often been performed without appropriate methodology and exposure information. Computer models should be developed to study effects on women and fetuses, as well as effects on vision, balance, and the heart. Laboratory tests on cells should look into interactions with enzymes and genetic material. Laboratory tests on animals should investigate possible effects on cancer and development, as well as effects of very strong fields. Tests on human volunteers should address possible effects on balance, head and eye coordination, memory, reaction speed, behaviour, as well as on the heart and blood circulation. Studies on human populations should assess delayed and chronic effects experienced by highly exposed workers (if feasible), taking into account reliable exposure measurements and possible effects on pregnancy. Electric and magnetic fields are invisible lines of force generated by phenomena such as the thunderstorms, the Earth’s magnetism, and the use of electricity. Man-made static electric fields are for instance produced by friction, television screens, or the use of direct current (DC) in some rail systems. Though static electric fields can be perceived through body hair movement and small shocks, no other negative health effects have been observed and no further research is recommended. 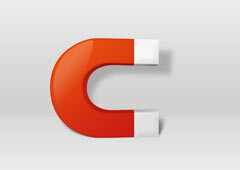 Man-made static magnetic fields can be more than 1 000 times stronger than the Earth’s natural magnetic field, in the case of industries using direct current (DC), and up to 100 000 times stronger in the case of new technologies such as magnetic resonance imaging (MRI). The Earth’s weak magnetic field is perceived by some animals that use it for orientation. In people moving in very strong static magnetic fields vertigo and nausea have been reported, but there is no conclusive evidence of other significant health effects, nor can such effects be ruled out. The use of increasingly stronger fields makes interactions with the body more likely and further research is needed to investigate possible health effects of strong fields and long-term exposure. What are the causes and consequences accident at the Fukushima Daiichi Nuclear Power Plant? What are the health impacts of the 2011 Fukushima nuclear accident for the workers and for the general population? 8. Should the public and workers be protected? 9. What further research is needed?